This topic aims to start the Websphere process automatically after rebooting the system or even if the process is crashed for some reason it will restart the websphere process automatically. There are several server processes that the operating system can monitor and automatically restart when the server processes stop abnormally. To set up this function on a Linux® or supported UNIX® operating system, you must have root authority to edit the inittab file. You can restart the server1 process, with the below example. On a Linux or supported UNIX operating system, you must manually create a shell script that automatically starts any of the processes previously mentioned. Each UNIX shell script controls a single process, such as a stand-alone product instance. Multiple stand-alone Application Server processes require multiple UNIX scripts, which you can define. For example you want to start the Websphere general server which is server1 to make the Websphere service up. But to start this automatically you have to prepare a general script which will be triggered while system starts. Now the next step is to Locate the rc.was example shell script, which is in the app_server_root /bin directory. Now by following the sample script rc.was create your own rc.s1 like shell scripts under ..WebSphere/AppServer/bin ..itself. Create a new shell script for each process that the operating system is to monitor and restart. like rc.s1,rc.s2 etc s1: server1, s2:server2 ..
Edit the inittab file of the operating system, to add an entry for each shell script you have created. Comments in the header of the rc.was file include a sample inittab entry line for adding this script to the inittab table. Each inittab entry causes the operating system to call the specified shell script whenever the system initializes. As each shell script runs, it monitors and starts the server process you specified. As we have already created rc.s1 and start_server1.sh under /opt/IBM/WebSphere/AppServer/bin when the server1 process goes down or when system rebooted the the Websephere server1 process will be made up automatically. In the above code snippet cmp(wsadminVers, norm) will compare two string values in wsadminVers and norm. If wsadminVers less than norm it return -1. If both are equal it returns 0. If wsadminVers is greater than norm it return 1. So cmp method is very easy string comparison method in jython. The above exception can be arise while running jythin scripts which has usage of undeclared variables. see example below. The above is one of the code line in our jython script, in this case super is treated as variable and if it is not declared the above exceptions will results as super varibale is not initiated. print "super" which will treat super as string and prints it on console. Lets see how java uses the Timezone set on JVM. Lets print the current time and date of the existing time zone. And then change the time zone to different time zone and observe the changes. The below code will do the above purpose. So by observing the output and code lines we can understand that the time changes according to Timezone used. How to find WebsphereVersion(Exact build number) in python/jython scripts ? The following lines of code will give the exact WAS version along with build number when used in a jython or python script. # The above line also gives us the WAS version but it will not give the exact build number details. Hope this helps in finding the WAS versions in a jython/python script. The above when run with wsadmin.sh script some times it throws the following error. probably we can try InetAddress.getAllByName(host) in a standalone Java program and try to resolve it the same solution will apply to wsadmin as well. P.S: To find the different connection types and ports used by the Websphere installation, try open the Administration console using the url http://:9060/ibm/console/ in browser. This was an unplanned trip for me, it is just to accompany my close friends. I was requested to join with them to fill the vacant seat in the cab. 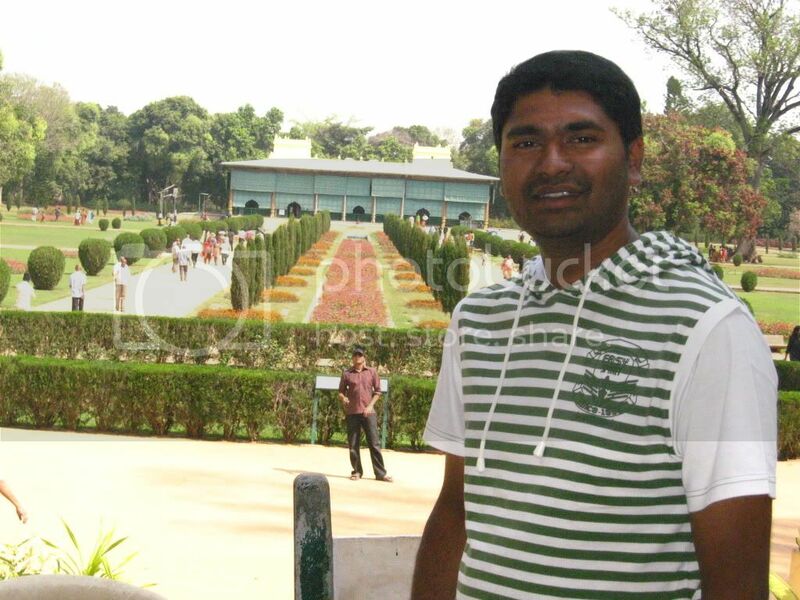 With this my visit to Mysore become fourth time. Still I feel worth exploring. Mysore(Garden city) is really place for travelers due to is unique history and rich heritage. Actually my friends intention is to visit Sri Chamundeshwari Temple primarily,but I added many to it, hope they enjoyed the trip. Of course I enjoyed undoubtedly because I just want to travel all the time. The plan was to start by Indica cab (as we are just 4 members)by 5:30 AM, as usual and quite expected for me it started only at 6:50 AM due to drivers late arrival to our place. Usually it happens with one of our mates but this time the culprit was Cab driver, can't even scold him. Most of the journeys I did were very successful primarily due to the best planing and secondary due to best execution. Best execution role should be done primarily by cab driver and by the people in the trip. This time driver is not up to my expectations, I tried my best to motivate driver by speaking in Kannada also. He so reserved and also stubborn... What to say ?? Any way our journey started. 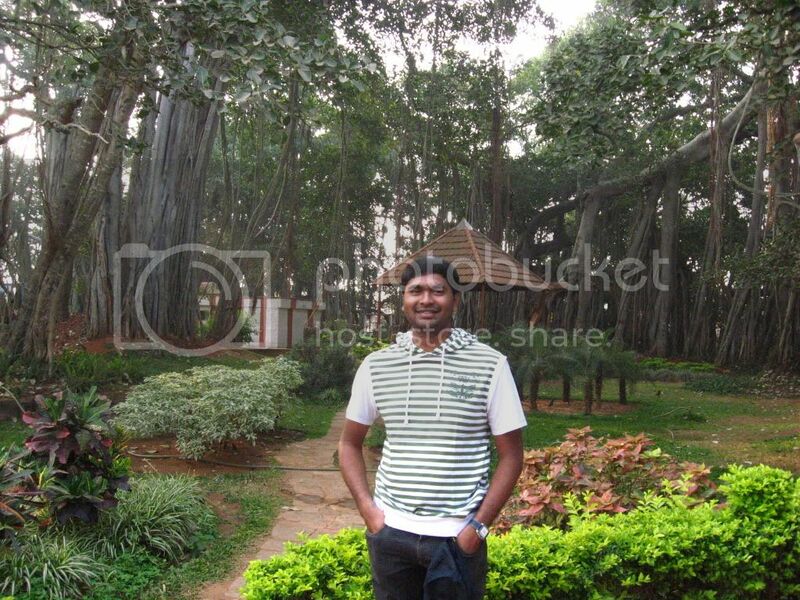 The very first place we reached according to plan was Big Banyan Tree,This is a 500 yrs old Banyan tree.A mere 25 kms from the Bangalore City.you can reach the spot either from Kumbalgod on Mysore Road or from Chennenahalli on Magadi Road.This is the fourth largest banyan tree in India. It is in a village called Ramohalli about 6-7 km on the road that links Mysore Road with Magadi Road. This road is on the right about 5 km from Kengeri next to Rajarajeshwari Dental College.Take the road to the right at Kumbalagod junction on Mysore road. Further 7 Kms on this narrow road leads you to the Banyan Tree.But this place is not up to my imagination, we took some snaps and moved ahead. people started shouting for a sojourn for break-fast but I kiboshed them till we reach Bididi village. Finally we reached Kamat(new) hotel near Bididi and had break-fast. 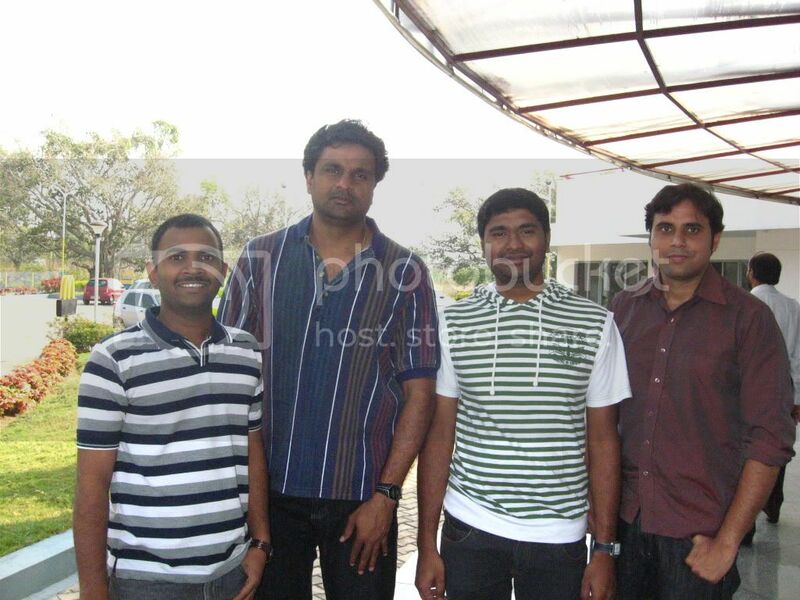 There we saw Javagal Srinath, former Indian cricketer. I think he was on a family trip. We took his autographs and took some snaps. He was quite simple and normal, it happened to speak with him in our regional language Telugu too when he called one of our mates in Telugu. With this happy movement, trip made me more happy and we moved to wards Srirangapatnam via Ramnagaram and Channapattana. Ramnagaram-This rocky land is an important silk cocoon-marketing center, 49 kms from Bangalore. The popular Hindi movie Sholay was shot here. Channapattana-Famous for its wooden toys and silks. It is located at 58 kms on the way to Mysore.we did not stop in these villages but still felt the speciality of these villages. Quickly we reached Srirangapatnam in less than an hour. Srirangapatnam - around 123 Kms. from Bangalore on Mysore road.Town made famous by legendary warrior Tipu Sultan. We have seen Dariya Daulat Bagh and museum at Tippus summer palace.This garden was good looking than in my previous visit, may be due to more flowers. In this museum we can many paintings, swords, rifles,coins, medals and some of the Tippus clothes and utensils.Most of these paintings were narrating the battles done by Tippu sultan and most of them are collected from the magazines published in abroad countries. After having some photo shoot we moved towards Sri Ranganatha Swamy Temple, on the way we can still the see the fort and its traces. Sri ranganath temple is simply superb, here we can see god in the posture of sleeping on a snake. Then our next stop is at Balmuri - Edmuri Falls, which just 15 KMs from Srirangapatnam. Balmuri falls is the famous of the two and many Indian movies have used this location to shoot song and dance sequences. These waterfalls are not actually waterfalls technically. Balmuri Falls is the primary attraction at the Ranganthittu Sanctuary.Hit the Bangalore-Mysore highway till you reach the bridge at Srirangapattanam. You"ll soon find directions to the bird sanctuary. Follow it until you reach the clean and speck sanctuary that can entice any being at a sight. We are disappointed at this falls because there is no water in the store and hence there is no falls. So we did not spend more 30 mins here quickly proceeded to Mysore city. 7.30 a.m. to 2 p.m.
3.30 p.m. to 6 p.m. 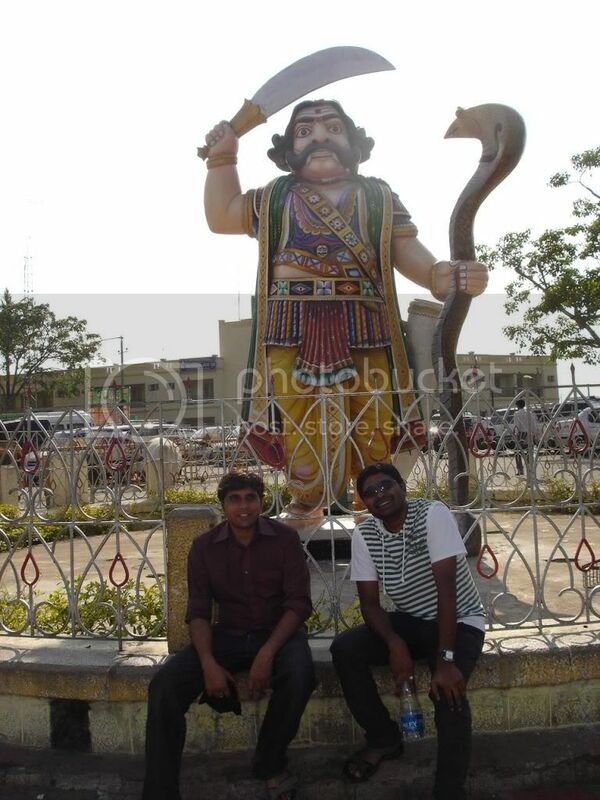 So we had lunch on the hill top itself and waited till 3:30 till the temple opens. We had quick and special darshan. The Chamundi maata here is made of gold and looking very delighting. 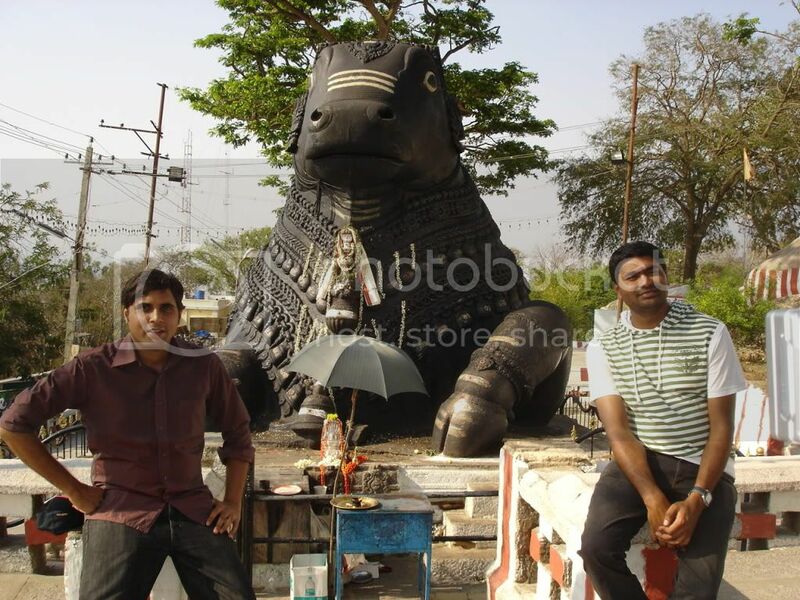 There is a huge granite Nandi on the 800th step on the hill in front of a small Shiva temple a short distance away. This Nandi is over 15 feet high, and 24 feet long and around its neck are exquisite bells. The next stop was at The Mysore Palace - it is open to visitors from 6 am to 9 am and from 3.30 PM to 6.30 PM every day. It was almost like Museum, there we can see many photographs and paintings of the kings and their family. But still palace is worth by its royal and elegant look, we can just imagine how the king used to live. It took more than 40 mins to visit the whole palace and there was enough crowd due to some schools visit. I know that Palace will be Illuminated bu electric lights on Sundays, National holidays and on festivals(Timings : 7:00 p.m. - 9:00 p.m). I have seen the palace with lights twice before but my Friends missed it, as it was Saturday that day. 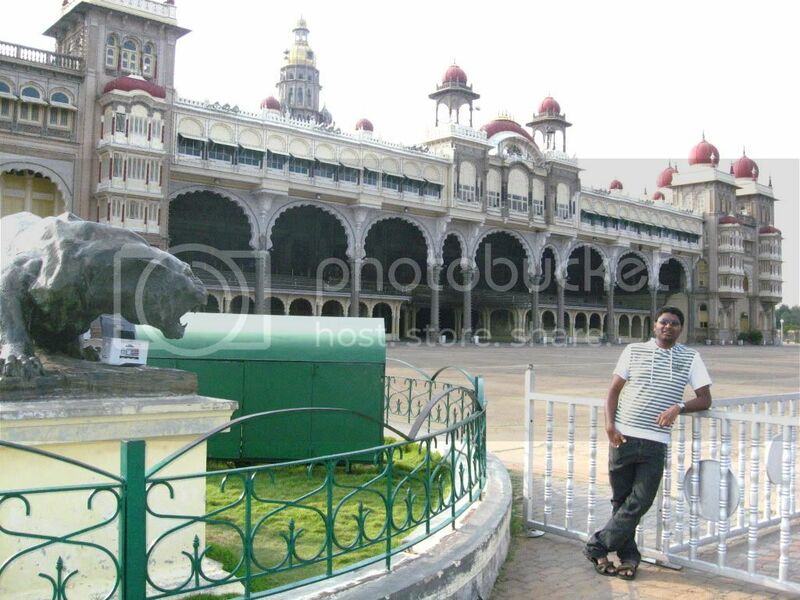 Rite time to visit Mysore palace is during Dasara festival season. so I suggest everybody to visit this place during festival season. Then we proceeded to St Philomena’s Church - Located about 3 kms from the city center is the imposing St. Philomena's church, a miniature replica of the Cologne cathedral in Italy. 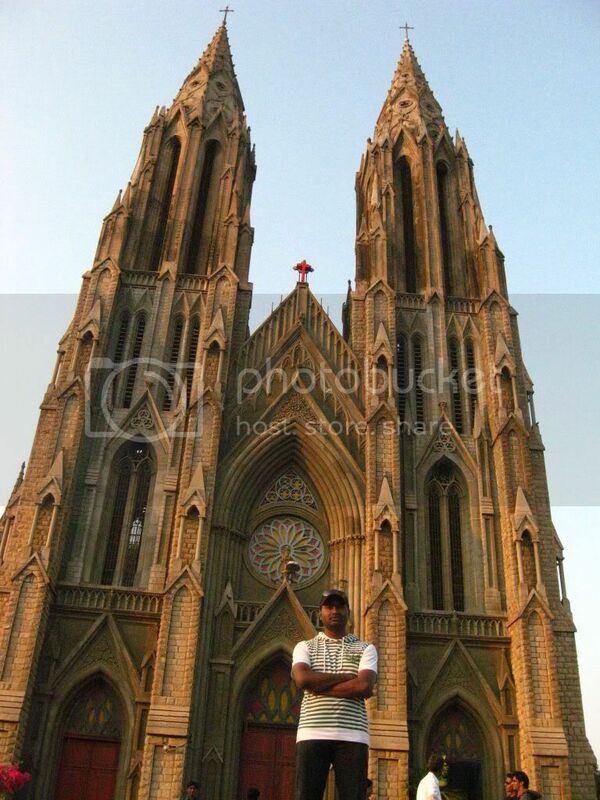 Built in the early 1930’s in the Gothic style, it is the tallest cathedral in India. Colorful stained glass panels depict the birth, the last supper, the Crucifixion, Resurrection and Ascension of Jesus Christ. Light filtering in through these panels imparts an ethereal ambiance to the inside of the church. The catacomb houses the statue and relics of the 3rd century saint Philomena. Twin spires rise up about 175 mts to the skies and can be seen for miles around. Visiting hours are from 8 am to 1 pm and from 5 pm to 8 pm. Don’t miss to see the illuminated church in the evenings. Now almost everybody are slightly tired due to heavy heat and sun. Our last spot of the trip was Vrindavan Gardens and K R SDam(Krishna Raja Sagar dam). We reached there around at 6:50 PM, there was a huge crowd at entrance due to small entrance. The main garden entrance was under renovation. We paid for entrance tickets and we moved to wards our right of the garden as almost everybody are running in that route. I expected that people are running to see musical fountain which used to run during that time. We also blindly reached that place, as expected it was musical fountain. But none of us are interested to see that, as we have seen such fountains many times in many places. Then we quickly returned back and moved to wards left of the Garden, that side is really worth watching. it has many beautiful and big fountains. We can just recollect many of the old famous movies songs which were shot here. Ahh finally we concluded the trip and started return journey, we had some tifins at one of the hotels near mandya and reached Bangalore around at 12 PM.